This year was not kind to gravitational wave researchers despite multiple experiments across various instruments both on Earth and in space. Gravitational waves are ripples in space-time predicted by Albert Einstein in 1916 using his Theory of General Relativity. He theorized that gravitational waves carry energy away from accelerating masses in the form of gravitational radiation much like photons carry away energy in the form of electromagnetic radiation. But because gravity is 1039 (yes, that’s a thousand trillion trillion trillion) times weaker than electromagnetism it would take an enormous mass accelerating at incredible speeds to generate gravitational waves that could even possibly be detected within the limits of known physics. Years after Einstein, scientists predicted that objects such as supernovae and merging black holes and neutron stars could generate such powerful gravitational waves and have carried out several experiments over the years in an attempt to detect them. This year several of these experiments came to an end having failed to detect any evidence of gravitational waves though they should have been sensitive enough to do so. 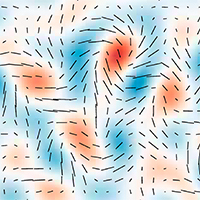 The Background Imaging of Cosmic Extragalactic Polarization experiments were not looking for gravitational waves generated by merging objects or exploding stars but by the creation of the Universe shortly after the “Big Bang”. In March 2014 researchers had announced that one of BICEP’s radio telescopes in the South Pole had detected polarization of the Cosmic Microwave Background (CMB) caused by gravitational waves in the early Universe. If true this would have been the first direct evidence of gravitational waves ever observed. 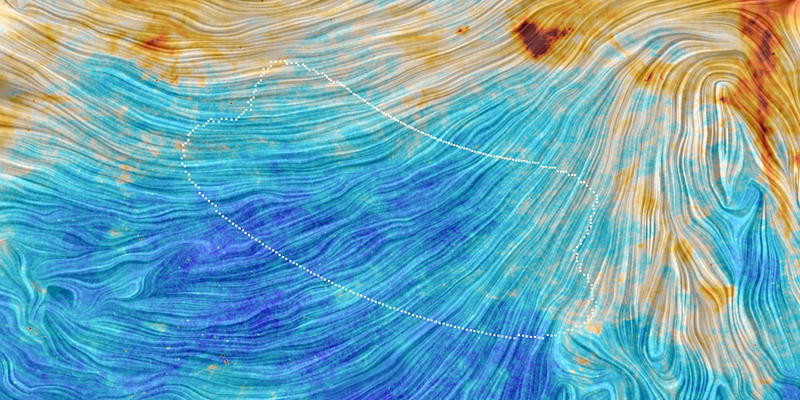 But by early 2015 it had become apparent that what was actually causing the polarization was dust in our own Milky Way Galaxy. As reported in the journal Nature on January 30, the European Space Agency (ESA) announced that analysis of both the BICEP2 observations along with data from its own Planck spacecraft confirmed that was indeed the cause after all. 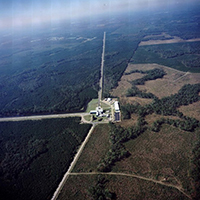 The Laser Interferometer Gravitational-Wave Observatory (LIGO) uses the interference between laser beams bounced back and forth down 4-kilometer long tunnels to attempt to detect gravitational waves emitted by supernovae or merging black holes and neutron stars. LIGO actually operates two observatories in the United States, just over 3,000 kilometers apart, to allow for triangulation of any waves that are detected. LIGO’s mirrors are sensitive to movement between them as small as 10-18 meters or the size of an electron. This is well within the theorized size range for gravitational waves being emitted at a distance of up to 26,000,000 light years from Earth. Yet despite over 13 years of operation, including collaborations between the European Gravitational Observatory (EGO) Virgo interferometer in Italy and the GEO600 interferometer in Germany and an upgrade to “Enhanced LIGO” in 2009, not a single gravitational wave has been detected to date. 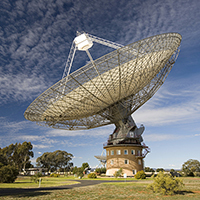 The Commonwealth Scientific and Industrial Research Organisation (CSIRO) and the International Centre for Radio Astronomy Research (ICRAR) used the giant Parkes radio telescope in Australia to very precisely measure the radio pulses of two dozen pulsars. It was theorized that the merger of supermassive black holes located in the centers of merging galaxies would generate gravitational waves that would distort the space between the pulsars and Earth by about 10 meters. These distortions would change, by very tiny amounts, the otherwise extremely steady pulse rates of the pulsars by changing the time that it takes for the pulsars’ signals to reach the telescope. However after observing the pulsars for 12 years to accuracies of ten billionths of a second the scientists finally reported in the journal Science on September 25 that not one single gravitational wave fluctuation was observed. So do all these failures mean gravitational waves do not exist? Not necessarily, all other of Einstein’s predictions from General Relativity were eventually observed, including the geodetic effect recently detected by Gravity Probe B. In 1993 two scientists were awarded the Nobel Prize in Physics for their discovery of the first “binary pulsar” in 1974. The orbit of this pulsar system is claimed to be indirect evidence of the existence of gravitational waves. But it should be noted that as with each of the handful of binary systems that have been discovered thus far the model of the system was created to try to fit the observations. In fact, in most of the systems one or more of the companion objects is never directly observed but only theorized based on the interpretation of the radio pulses that are observed. This includes the aforementioned prize winning first binary pulsar, whose theorized central neutron star has yet to be directly observed. Nevertheless, assuming that Einstein’s theories are correct, perhaps it is the phenomena that researchers theorize generate gravitational waves that is incorrect. For example, a universe dominated by the electromagnetic force and without a Big Bang, black holes, neutron stars or exploding supernovae would emit very few, if any, detectable gravitational waves. Perhaps the same that can be said for these phenomena can be said for particular types of gravitational waves: just because they can be expressed mathematically doesn’t necessarily mean they actually exist. But incredibly, despite the multiple failures of 2015, more time and money continues to be poured into these types of projects. For example in September 2015 “Advanced LIGO” became operational. This newer and more improved LIGO is advertised to eventually have 10 times the sensitivity of the previous version, allowing it to detect gravitational waves as small as 10-19 meters or the tenth of the size of an electron. Interestingly, within a week of Advanced LIGO’s official opening it was rumored that a gravitational wave had actually been detected by the new devices. That rumor eventually proved to be false and still, so far, not a single actual wave has been detected.